The internet is a vast co-mingling of networks that are regularly communicating with each other. In layman’s language, an IP address is your computer’s address in relation to the internet. As humans, whenever you need to communicate with a fellow person, you require a way to reach them hence an address or a phone number. Computers, just like humans need an address to communicate with each other. Your computer’s unique identity in the vast abyss of the internet is its IP address. In technical terms, an IP address, meaning the Internet Protocol address is an identifying marker in the internet communication system. Internet Protocol is the core communication system that the internet uses to send information from one computer to the other. Each IP Address represents a piece of network hardware. Up until recently, all IP addresses were 32-bit IPv4 addresses. But these addresses were finite, and there could only ever be 4.3 billion of them. With the IPv4 addresses running out, IPv6 addresses were introduced. IPv6 IP addresses are 128-bit. They are bound to solve the IP address problem because of their numbers near infinite. In fact, the actual number is 340 282 366 920 938 463 463 374 607 431 768 211 456. It will be a long, long time before we run out of IP addresses. How Do You Obtain an IP Address? IP addresses originate from the Internet Assigned Numbers Authority (IANA). IANA allocates the IP Addresses to Regional Internet Registries (RIR), a group of 5 registries that in turn distribute the IP Addresses to Internet Service Providers depending on their geographical location. Once you connect your computer to the internet, your ISP assigns you an IP Address. Internet Service Providers have been known to do more than provide you with a reliable internet connection. They can track and spy on all that you do with your bandwidth allocation. Unscrupulous ISP companies sometimes steal your bandwidth or add to your internet bill depending on your activities. Additionally, more subtle ISP companies sell your internet inclinations to advertising companies, and that is how you begin to get targeted marketing and spam emails. No law forbids ISPs from selling said information, in fact to the contrary, countries like the USA recently passed a bill allowing ISP companies to snoop and sell their clients’ internet activities to advertisement companies. The best you can do to protect yourself is to hide your browsing history from your ISP. We are all familiar with Geo-restrictions and unavailability of streaming services due to copyright law. Various sites restrict their viewership to certain geographical boundaries. Additionally, streaming companies like Netflix, Hulu, and Amazon Video have imposed restrictions on their content, and therefore you may be unable to access it depending on your geographical location. Once you employ a suitable method of hiding your IP address, all these restrictions and censorship will be a thing of the past. Modern conspiracy theories about the government always spying on you are no longer just common lore, they are facts. Maybe not all governments spy on their citizens, but how sure are you that your government doesn’t? And while you may not be doing anything wrong, who wants the authorities always knowing what you are up to on the internet? Governments also impose censorship on some issues they deem too volatile to be viewed by the common folk. In the spirit of “rights to information” and all that jazz, if you can effectively mask your IP address, you can be able to access censored content. You may at one time or the other need to obtain information or research on some sensitive matter without leaving a trail. Some jobs are sensitive and involve delicate information that needs to be handled with utmost secrecy. These include journalists, detectives, celebrities, and politicians to mention a few. Efficiently masking the IP Address, in this case, is crucial. Advertising companies have upped the ante when it comes to tracking and spying on clients. Leaving your IP address exposed is opening yourself up to all kinds of spam advertisement emails and pop-ups which constantly interrupt your browsing experience. Just being on Google and other search engines are enough to start receiving ads connected to your search history. If you manage to keep your searches private, these overwhelming advertisement companies will not reach you. Now that we are all caught up on the definition of an IP Address, here are ways to ensure your stays hidden. We have covered VPNs in many different articles on this platform. We are confident that you know the definition of a VPN. In regards to hiding your IP address, a VPN works by encrypting any data leaving your computer long before it reaches your ISP and any other servers lurking in the vast internet abyss. A good VPN protects you by first encrypting your data so that any communication from and to your computer is completely indecipherable. This, in turn, means even if some hacker does manage to come across your information, it will be useless to them without a decryption key. Additionally, you want a VPN to cloak your whereabouts by bouncing your location all over the world so that it is impossible for anyone to discover your residence. This is the essence of staying anonymous. The Site-to-Site VPN is generally used in office settings. When an office needs a secure way to communicate with another off-site or remote satellite office, they use a Site-to-Site VPN. It works by creating a secure tunnel through which sensitive information can be passed. It is also called a Router-to-Router VPN. Remote Access VPN usually works for users who want to connect to public servers or access office servers from a remote location. A secure tunnel created by the VPN’s servers connects the user to their desired sites. This type of VPN is ideal for dodging Geo-restrictions and accessing sensitive websites remotely. To give you a bit of insight into the workings of a VPN, we recommend that you learn the different encryption protocols and how they work so that when it is time to select a VPN for your home or office, you know precisely what to look for. The Point-to-Point Tunneling Protocol is the most commonly used tunneling protocol. It works by merely encrypting data from one point to the other. Point-to-Point tunneling protocol works well with the majority of operating systems and devices. It supports most encryption schemes run by the Point-to-Point Protocol (PPP) as well as 40-bit and 128-bit encryption. PPTP is ideal for both small scale and large scale VPN needs because it does not require additional software to run and it is easy to set up. This is the first Protocol used by Site-to-Site VPNs. This protocol is considered very safe because it uses two sub-protocols namely Encapsulated Security Protocol (ESP) and Authentication Header (AH). This translates to a sort of double encryption for your data. IPSec is compatible with most operating systems and VPN-enabled devices. L2TP is usually co-mingled with IPSec to create a formidable VPN security for high-end VPN companies. It is primarily used by Remote Access VPN but can also work with Site-to-Site VPNs. L2TP’s Point-to-Point Protocol (PPP) is used as a base tunneling protocol although on its own it's not very secure which is why it is usually used together with other tunneling protocols like IPSec. Microsoft owns SSTP. It is a high-end tunneling protocol that works better with Windows than any other tunneling protocols. SSTP is a formidable player in the high-end encryption chart ranking above IPSec/L2TP and PPTP. Since Microsoft owns it, users are skeptical of its actual security capabilities thanks to the recurrent rumors that Windows works with NSA to help spy on people’s internet activities. OpenVPN is the undisputed champion of the tunneling protocols. It provides superior encryption and is created to mirror the most sophisticated connection systems like the ones used by banks and online retail establishments. This way, it is nearly impossible to recognize the VPN connection and subsequently block it. OpenVPN is not particularly inclined to favor any platform; it is equally available to all through third party software. However, you can expect it not to work as well as SSTP on Windows platforms. Using a proxy server is another brilliant way to mask your IP address from the prying eyes of internet bad guys. For the benefit of the reader who is not well versed with the definition of a proxy, here goes. A proxy server works as a middleman between you and the end sites that you want to visit. When you send out a request from your computer, the demand goes to your ISP and then to the website you are eyeing which exposes your IP address and location. If you employ the services of a proxy server, your request is diverted from the ISP to the proxy server and then to the destination. The results come through the same route which protects your IP address and your location. A proxy server does not typically offer any encryption or the complex protocols that come with using a VPN. It is, however, faster than a VPN for the same reason. All it does is bounce your request through a third party server so that the request does not appear to come directly from your computer. A proxy server can be used to limit the types of websites you can visit. 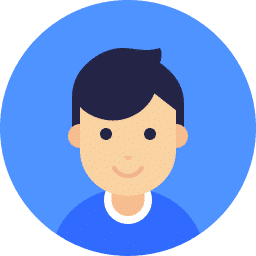 It is mainly used in offices to ensure staff browse within the parameters of work as well as in the home to exert parental controls for children. Proxy servers like to save the requests made through them. This way, the proxy simply updates the pages of recurring demands saving you loads of time and bandwidth. Some proxies change your IP address when presenting your request to the destination website. This change makes it seem like the request came from a different geographical location which can, in turn, grant you access to the otherwise restricted material. If you are going to use a proxy server to hide your IP address, it is wise to understand a bit more about the types of proxy servers available. There are four types of Proxy servers; anonymous proxy servers, distorting proxy servers, high anonymity proxy servers, and transparent proxy servers. Transparent proxy servers are the simplest to set up. However, they do not hide your IP address from the destination website. When you use a transparent proxy server, it identifies itself as a proxy on the target website and shares your IP address. Transparent proxy servers are mainly used to block and filter content either in an office setting or a home. An anonymous proxy server performs the essential functions of a proxy. It identifies itself as a proxy on the destination website and does not share your IP address. Anonymous proxy servers protect you from snooping hackers and spy Apps that are looking for targets for their marketing endeavors. Distorting proxy servers push the envelope a little when it comes to providing anonymity. These servers present themselves as proxies to the target websites and give a different IP address for your request. The advantage of this extra step is that with the right configuration, you can access Geo-restricted material once the proxy server makes it appear like the request is from a different region. High-anonymity proxy servers are the best proxy servers. In addition to masking your IP address, they often change the IP address they present which is great for security. Some high-anonymity proxy servers also have encryption capabilities which make them almost as good as having a VPN. An excellent example of a high-anonymity proxy server is TOR Network. Tor is, without a doubt, one of the best free resources for hiding your IP address. Tor, formerly known as the “onion router” is a software that allows users the anonymity of surfing by bouncing your request through a maze of Tor network servers ensuring that the request can never be traced back to you. Tor Network has upwards of seven thousand proxies organized into three layers. The essence of the onion logo comes in because a single request is matched to a random server on the first layer, bounced on several proxies in the second layer and then attached to another random proxy on the third layer before heading to the destination website. Each request is encrypted and decrypted on transit through the three layers which mean better security for your data. Tor is utterly useful in hiding your IP address, but it has one shortcoming. Some ISPs, as well as government censorship, do not allow the use of Tor. You can work around this disadvantage by using bridges. Bridges are alternative Tor relays that dont appear in the official list of Tor relays. If you can’t use Tor freely, use these bridges to access the Tor Network. It may not work a hundred percent of the time, but it is quite useful most of the time. First off, this is not a long-term solution for hiding your IP address. Also, it is not foolproof, but it can prove useful in the right circumstances. For some mobile networks, every time you connect to the internet through mobile data you get a new IP address. Using this logic, if you use your mobile network to browse reconnecting ever so often, you can effectively carry out your internet activities anonymously. If the need to browse arises, turn on your mobile data, turn on the hotspot option and connect to your computer from the available network. Before you settle on this method, however, ensure that your mobile network is among the ones that assign a new IP address because the premise of this method working relies on that. If it is convenient for you, a change of IP address can merely mean a walk down to the coffee shop. Using a public Wi-Fi connection means you have adopted the IP address of that particular place. However, public Wi-Fi connections are Petri dishes of hackers and snoopers waiting to take advantage of any loopholes. But if you are careful enough, you can survive a surfing session in a public Wi-Fi. Internet Service Providers usually issue two types of IP addresses; Static and Dynamic. A static IP address is somewhat permanent and requires a lot of procedures to change. A dynamic IP address, however, is easier to replace. Talk to your ISP and request for a dynamic IP connection. This allows you to have a myriad of IP addresses that you can use. All these IP addresses relatively cover the same geographical location but cannot be pinpointed to a particular address. This means your position will be anonymous. The dynamic IP connection is a great way to mask your real IP address, but it needs tons of cooperation from your ISP. But we all know getting a malleable ISP is a tall order. So if you can convince your ISP, well and good. Did you know that just switching off your modem for a few minutes can change your IP address? Well, it is true! Unplugging your modem for upwards of five minutes then restarting it can lead to an IP address change. If it does not work, try switching off your modem overnight and then recheck your IP address in the morning. However, this only works for dynamic IP addresses. If yours is a static IP address, you are likely to have the same IP address even after unplugging. If that is the case, you may need to look for another way to hide your IP address. The importance of internet anonymity cannot be overstated. Other than evading marketing companies and spam emails, it can save you from the horror of identity theft and various other internet crimes. Hackers and other internet bad guys are getting smarter by the day; it is imperative that you stay vigilant to avoid falling victim. 3 How Do You Obtain an IP Address? 4 Why Hide Your IP Address? 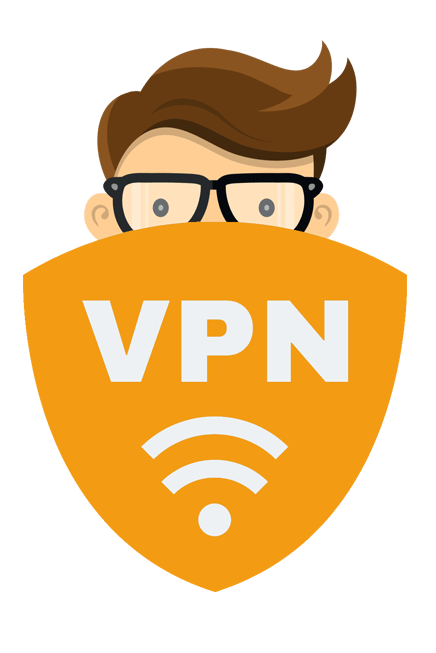 5.1.1 How does a VPN protect you? 6.1 What is a Proxy Server?